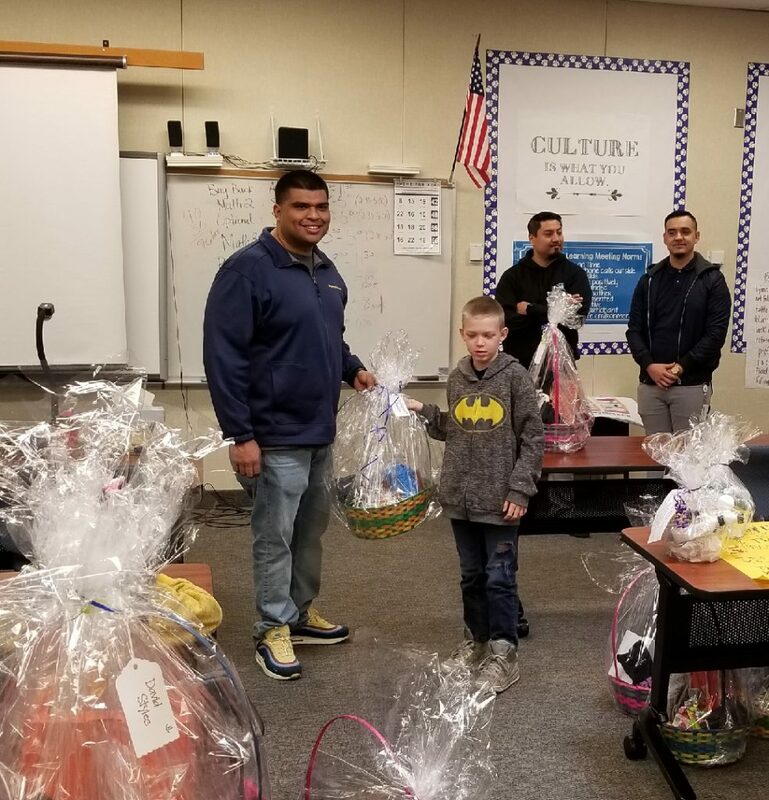 IBEW 1245 Organizing Stewards Thomas Mora and Anthony Corales joined forces with the PG&E Veterans’ Employee Resource Group Fresno Chapter and the IBEW 1245 Vets’ Group to support kids in need in the Fresno area. 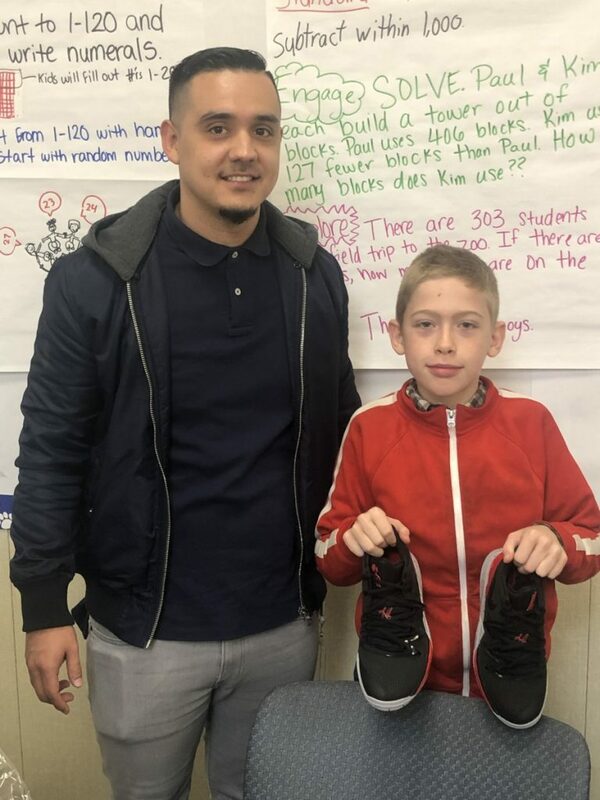 “[We] were able to donate shoes to 22 children at Addams elementary school who had a place of residence in a motel here in Fresno, CA,” said Mora, who is a Marine Corps veteran. “We got them shoes, shirts, socks, candy, a $5 gift card to McDonalds, and donuts to eat this morning. We passed the hat at the union meeting and made a huge chunk of the money on that day… ” IBEW 1245 Business Representative Gracie Clark kicked in four pairs of children’s shoes as well.